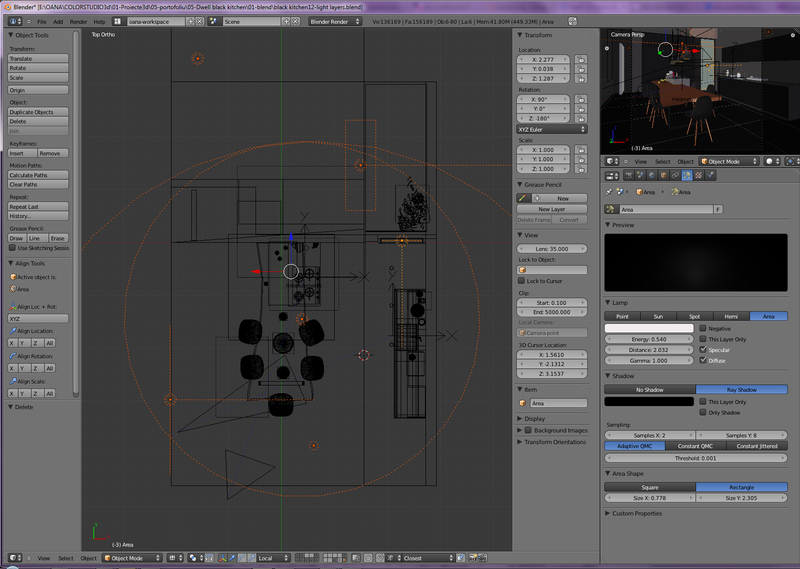 Here it is, rendered with Blender Internal, mostly modelled by me. Apples are from Blogoscopia, books from Archibase. 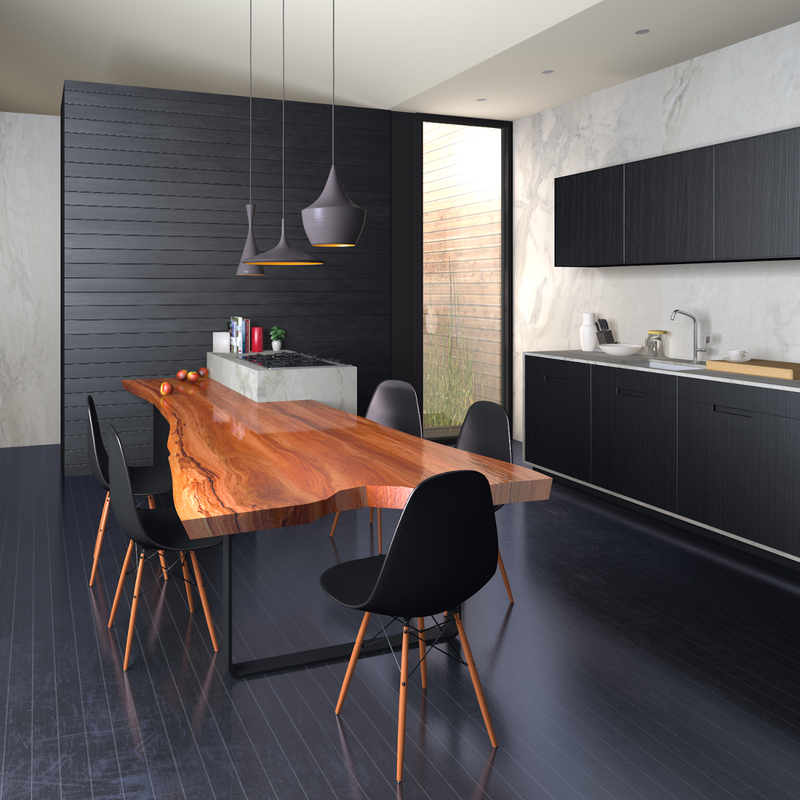 Kitchen interior – practice render from photograph. Source: Dwell magazine & remodelista. It took a biiiit longer than I had planned but I really enjoyed this project and found the process of replicating an actual photograph very useful. 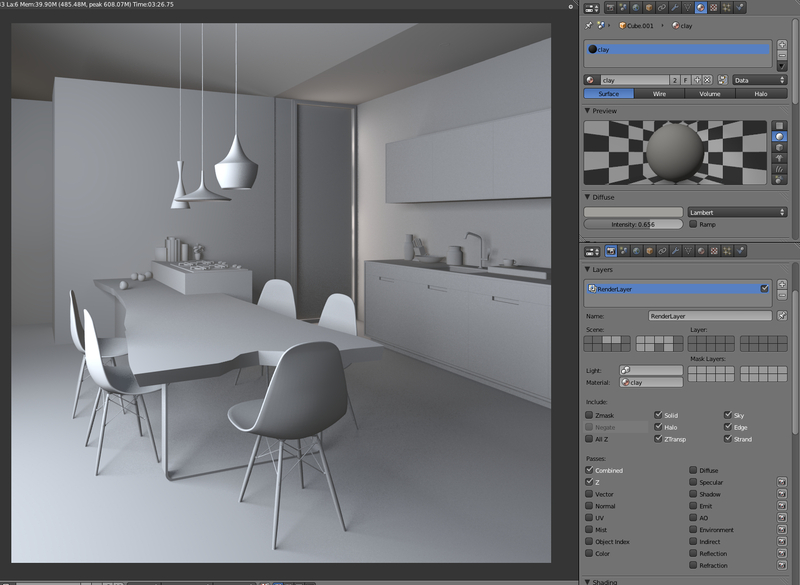 For the final render I doubled samples for area lights, then I went to Gimp for some post processing -sharpening, contrast and a bit of glow. Hope to get some feedback on this! Very well modelled and really nice result! It is impressive what we can achieve in the Blender Internal with some knowledge in the light and materials. 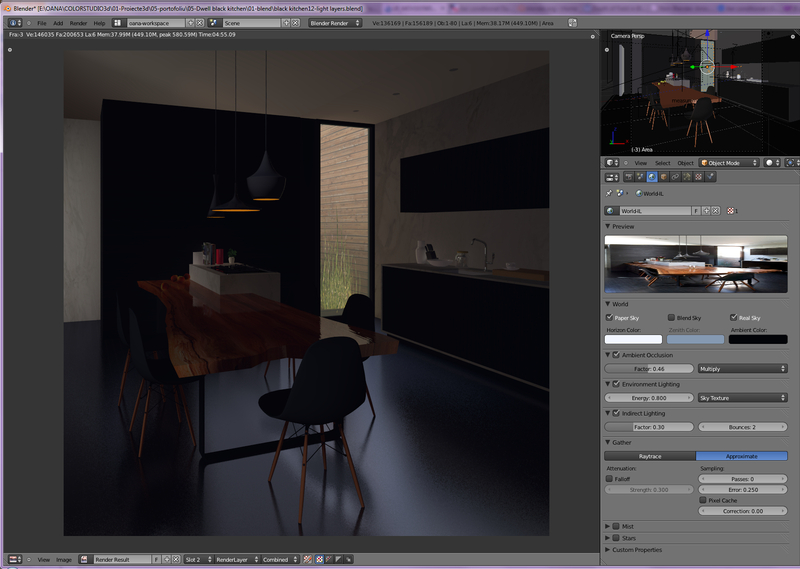 The only thing I would do to improve the image would be some light behind the wood wall and detail a little more the table as we can see the straight polygons edges on the curved borders. Thank you! It’s true, the table is rather lowpoli as I left for later to detail it some more and then just run out of time! Very nice modelling… I would suggest to add some glare to the exterior light through compositing, scale up the knifes in the kitchen counter, up the specularity on the table to account for the exterior light glare and add an IOR texture to the wooden table to give it a much more natural look. I also see that you went for random kitchen implements instead of the pot and flowers of the original pic. I think it looks better this way. Good job overall. Thank you Manny for your comment. Not sure I’m getting back to this project now, but feedback is always useful for new projects! The rendering speed denpdes on several hardware factors: speed of your hard drive, and more importantly, how much RAM you have. You are working with a very complex program and image. 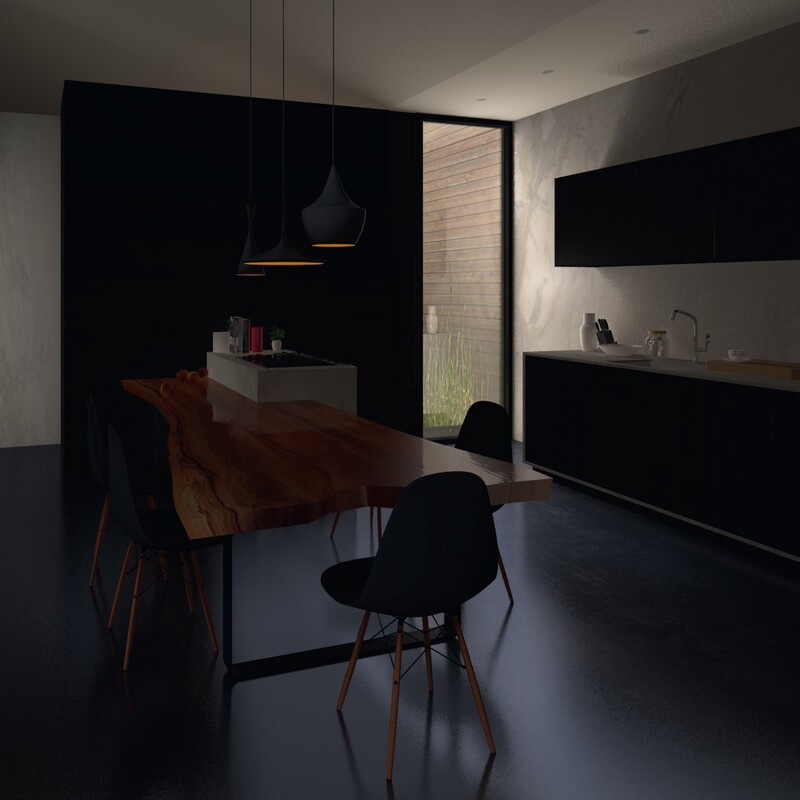 3D rendering is extremely complex, and there is really nothing you can do to speed up the rendering if you need all those materials and lights in the image.